They are all really pretty. Nice work! Wow, these are fantastic! 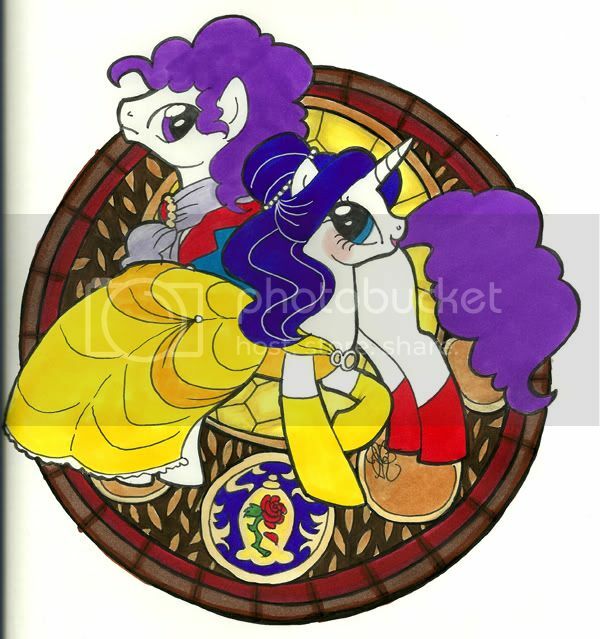 Rarity as Belle--YES! Wow, great job on the dress! And TAF Buttons is so cute! Great coloring job on these. The stained glass window is amazing too. Ooo nice! I already commented on buttons, but i love how Prince pony and bell look like stained glass. Hi! It came today, and I'm absolutely STUNNED!!!! Oh MY Celestia, this a fantastic piece of work! At first I thought it was digital and then realized it was hand drawn and colored! 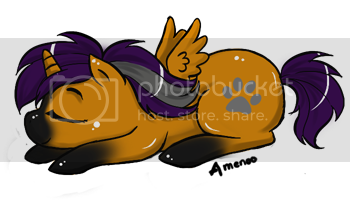 I'm going to laminate it and hang it on my wall near my pony collection!! Isn't that Nightshade in the second image? WAY cool! I have to say that one is my favorite. Very cute.